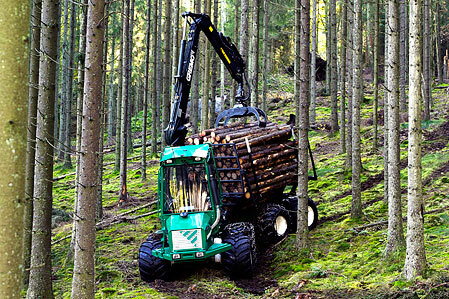 Since 1996 the 950 type forwarder is the first choice in the 7-10 tons payload range (source: Swedish National Road Administration). The reason that it has been number one in Sweden for such a long time in our opinion is attributed not only to its power, suppleness and flexibility, but above all to its profibility. 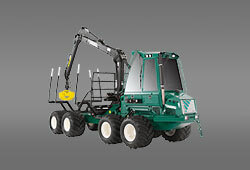 The forwarder is intended for thinning, but copes very well also with timber, brushwood transport and work on wetland. 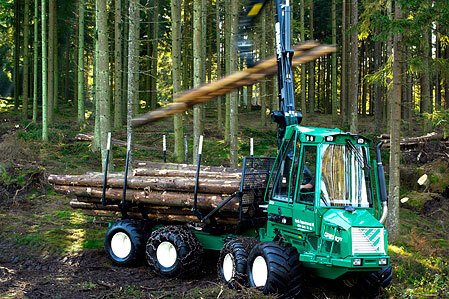 Difficult and soft ground is easily managed by the 950F - the well adapted weight distribution, the low centre of gravity and the well balanced bogies offer full control in all difficult situations, even with full load. The design is well thought-out with carefully selected components and top quality material from the basics to the smallest detail. For instance frames and waist are made of steel Weldox 700 E. This sort of steel is about three times stronger than ordinary structural steel. 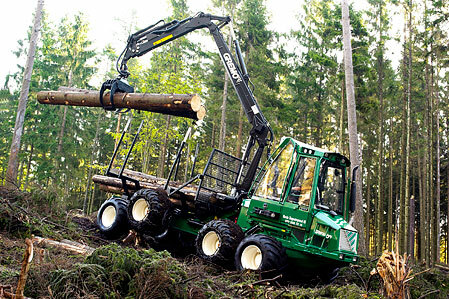 Owing to this the 950F is well adjusted to the bigger booms and its high carrying capacity.